Below is the text of the speech made by Richard Burgon, the Shadow Justice Secretary, at the Labour Party Conference in Liverpool on 27 September 2016. Conference, I am honoured to open this debate on Justice and Home Affairs. And I am proud to speak to you as Shadow Justice Secretary. But Conference, I have a confession to make: before entering Parliament, I was a lawyer. A trade union lawyer – representing people injured at work because bosses cut corners. Representing people sacked because of their gender or the colour of their skin. Representing people not paid a fair day’s pay for a fair day’s work. Conference, 10 years of that taught me an important lesson. That justice and the rule of law are essential ingredients to create a fairer society. The type of society that the Labour movement has always fought for. The legal profession in our country is much derided. But who is it that defends the rights of striking workers in the courts? Who is it that represents victims of domestic violence? Who is it that prosecutes criminals who terrorise working-class communities? Who is that provides legal assistance to the heroic grassroots campaigns for justice for Orgreave? Justice for the Shrewsbury 24? And justice for the families of those killed at Hillsborough? I pay tribute to those families and I pay tribute to our Shadow Home Secretary Andy Burnham for backing them all the way. Justice goes to heart of what we are as a movement. And the values we hold dear. It is the justice system that protects our freedoms, our rights, and helps hold our society together. But Conference, I am sure you are all aware that our legal system is creaking under the strain of this Conservative Government’s brutal onslaught of austerity and ideological dogma. Privatising our prisons and probation service and making the working conditions of our dedicated prison and probation officers tougher and tougher. Cutting legal aid to the poorest and imposing unaffordable employment tribunal fees. Slashing the Ministry of Justice budget by a whopping and reckless 34%. And what of the flag bearer of these failing policies? Let me turn to my Conservative opponent, Liz Truss. Believe it or not – she’s best known for railing against – ranting against even – imports of foreign cheese. It’s fair to say her appointment as Justice Secretary was not universally welcomed. Many said that, as another non-lawyer in the role, she didn’t fulfil the legislative requirement for a person “qualified by experience”. Her colleague, Lord Faulks, even resigned from the frontbench because of it. Others criticised her for being loyal to her Party leader. Nothing wrong with that. But what I will criticise Liz for is her voting for legal aid cuts. For privatising our probation service. And for closing down the courts we need to deliver justice in our country. Conference, we need a change of direction. Justice policy will be at the core of Jeremy’s drive for a fairer society. And I must thank Willy Bach for the review he is conducting into how best to deliver the improved access to justice we need in our country. A major review requested by our Labour Party Leader. Conference, one of the most reprehensible policies of the Conservative Government has been the introduction of Employment Tribunal fees. It means that those who have faced discrimination in the workplace – often people struggling to make ends meet – are expected to fork out even more to achieve justice. It will come as no surprise to delegates in this hall that the number of cases brought to Employment Tribunals has plummeted, as many just give up hope they will ever achieve justice. But under Labour, people will not only be able to hope – people will be able to take action – because we will abolish these cruel Employment Tribunal Fees once and for all and give wronged workers the access to justice they deserve. It was once said that “the degree of civilization in a society can be judged by entering its prisons”. And what is the state of our prisons today? Overcrowded. Understaffed. Awash with drugs. This must change – and under Labour it will. No longer will profit and privatisation drive policy. We will do all we can to ensure that when prisoners are released they turn their backs on a life of crime. And there is no-one better to spearhead this agenda than our Shadow Prisons Minister, Jo Stevens. Conference, we will achieve our goals by working with – and most importantly treating with respect – those who work in our justice system and the trade unions that represent them. Human rights have always been at the top of Labour’s agenda. Indeed, it was our Labour Government that introduced the Human Rights Act that protects so many of the freedoms we cherish. An Act introduced and upheld by three great Labour Justice Secretaries – Derry Irvine, Charlie Falconer and Jack Straw. I want to assure them – and assure you all – that in the aftermath of Brexit, Labour will fight to ensure that none of these hard won rights and freedoms are diluted or diminished by this Conservative Government. The next Labour Government will have much to do. Ending austerity. Rebuilding public services. And delivering a fairer society. At the heart of this approach will be strengthening our justice system. Conference, we will turn our backs on the failed approach of the Conservative Government so that once again our rights and freedoms will be protected and enhanced. And in this way we will build – together – a fairer society that we can be proud of. A Labour justice system in a Labour Britain. Conference. There’s work to do. Together – let’s get on and do it. 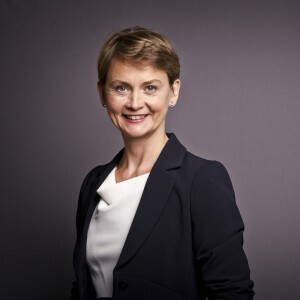 Below is the text of the speech made by Yvette Cooper at the Labour Party conference held in Liverpool on 28 September 2016. Aged ten and nine. Primary school children by the side of a busy road. A ten year old who’s father was killed when extremists took hold of their village. Whose mother paid smugglers to take the boys away. They live on their own in a muddy tent. And each night they run along the side of a motorway – waiting for a lorry going slow enough to climb aboard. Two weeks ago a fourteen year-old fell off the lorry he clung to and was hit by a car. Killed, trying to reach his brother in Britain. He had a legal right to be here, yet he lived for months in danger and squalor. And he died by the side of a road. How have we let this happen? Sometimes people say to me this is not our problem. Just walk by on the other side of the road. But these are children whose lives are at stake, someone’s young son, someone’s teenage daughter. Conference on suffering children, this country and this party must never turn our backs. And I want to pay tribute to those who are working so hard to help. To all the community groups and organisations we have worked with in the Refugee Taskforce, to Save the Children, Citizens UK, Help Refugees, UNICEF, the Churches, the Synagogues and Mosques, Care4Calais groups in towns and Cities across the UK. To thank Jeremy and Tom, Andy Burnham and Kate Osamor for the support they have given and continue to give to the Refugee Taskforce’s work. To Stella Creasy and Thangam Debbonaire who’ve played such important roles. A promise to do our bit, just as our country did when we rescued 10,000 Jewish children from the Nazis in Europe. Alf Dubs was one of those children, six years old, put on a train in Prague bound for England to escape the war. Three quarters of a century on. Alf, lifelong campaigner for social justice, Labour councillor, Labour MP then Labour Lord, each time leading the way with his amendment so that Britain does its bit again to help a new generation of child refugees. Giving them the new future our country gave him. Lord Alf Dubs – We pay tribute to you today. This is a global crisis we face. Across the world 65 million people driven from their homes by conflict or persecution. You will hear the Government talk of the pull factor. What of the push factor? See the pictures from Aleppo. Most incredible of all are those who stay – the doctors who stay to treat the wounded. The white helmets who stay to rescue those left alive. On Saturday, our Conference remembered the humanitarian work Jo Cox fought for throughout her life. No one says it is easy. People are worried about security, worried that the system can be abused or will be out of control. And we should be clear. Helping refugees doesn’t mean open borders. We need strong border checks to stop smuggler gangs, criminals and extremists exploiting the crisis. We need proper integration plans for refugees and their families. But conference, immigration and asylum are different – too often the Government treats them as the same. Many people I have spoken to who want more controls on the number of people who come here to work, also think we should our bit to help those fleeing persecution who have no safe home to which they can return. Refugees are less than 5 percent of those who come to our country. So we should never let fear of the difficult politics of immigration paralyse us from helping refugees. But nor must we be paralysed from debating immigration reform either – or our tin ear to the concerns of the country will stop others listening to our case for helping refugees. They want to know that the immigration system is too. And it isn’t racist to talk about how best every country manages migration or to say that whilst immigration is important, low skilled migration should come down. And saying this should not spark a row it should open up the debate. In the referendum people voted against free movement. But there is no consensus over what people voted for. We cannot do that if we dig in from the start. But here’s what we must never do. We won’t call people “swarms” or “hoards” – they are mothers, fathers and children. And we will never ever do what Nigel Farage did in the referendum campaign and use a poster of desperate people to stoke fear and hatred. That man should be ashamed. So conference, our country rightly leads the way with international aid. And proud that it was Labour campaigners many years ago who set the aid target, and the last Labour Government who brought it in. But on sanctuary our country isn’t doing enough. Just 3,000 of the promised 20,000 Syrian refugees have come. After the Dubs amendment, so far no children from Greece or Italy have been helped. And Calais should be a scar on the conscience of both France and Britain. Ten thousand people. One thousand children alone. Scabies rife. Violence and sectarianism in camp. Lorry drivers facing intimidation and serious safety threats. No one assessing asylum cases, no one protecting the children. This is a shameful failure by the French authorities in the basic duty to keep children safe. But Britain has a responsibility too. Hundreds of those children have family in Britain, but they are still stuck waiting months.The foot dragging, the bureaucracy, the delays are a disgrace. So Conference, we should support the contemporary resolution today. And Parliament should back Alf Dubs new amendment – drafted by Stella Creasy – to bring in safeguarding for child refugees. France plans to dismantle the camp moving people to accommodation centres across the country. But there are no places being provided for lone children. Last time the authorities cleared part of the camp, over a hundred children just disappeared. So let each country now agree to take half the lone children straight away. Let’s get all of these children into safety fast while their assessments are done, so there is no child left alone in the Calais mud and cold by the time Christmas comes. Because this stalemate over children is dangerous. I am sick of this standoff. Children’s lives and safety are at risk. Both Governments need to get a grip and act. Conference, I’ve heard from child and teenage refugees who want to be engineers, scientists, doctors, footballers. But the one who surprised me was a teenager helped by Citizens UK and our political campaign, who said he wants to get involved in politics. He said politics destroyed his country, but politics also saved his life. Now he wants to help, to give something back, just as Alf has done so many years on. Because politics matters. So if ever you despair at the state of our politics even the divisions you think there are in our party. Of the amazing things we can do together, the people we can help, the amazing things that Labour can do. Conference – that’s what our politics is all about. 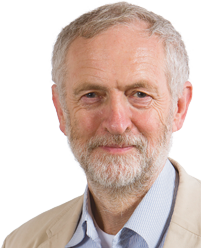 Below is the text of the speech made by Jeremy Corbyn, the Leader of the Labour Party, to the party’s conference being held in Birmingham on 28 September 2016. Thank you for that introduction. And how brilliant it is to see the hall here in Liverpool, absolutely packed for the Labour conference, well I say it’s packed but Virgin Trains assure me there are 800 empty seats. Either way Conference, it’s a huge pleasure to be holding our party’s annual gathering here in this fantastic city that has shaped our country, our economy, our culture and our music. Liverpool and its people have always been central to the Labour party and our movement. And I know some people say campaigns and protests don’t change things. But the Hillsborough families have shown just how wrong that is. It’s taken twenty-seven years but those families have, with great courage and dignity, finally got some truth and justice for the ninety-six who died. And I want to pay tribute to all the families and campaigners, for their solidarity, their commitment and their love. We must learn from them so we promise those campaigning for Orgreave, for Shrewsbury, for the thousands of workers blacklisted for being trade unionists that we will support your battles for truth and justice and when we return to government we will make sure that you have both. Because winning justice for all and changing society for the benefit of all is at the heart of what Labour is about. So yes, our party is about campaigning and it’s about protest too. But most of all it’s about winning power in local and national government, to deliver the real change our country so desperately needs. That’s why the central task of the whole Labour party, must be to rebuild trust and support to win the next general election and form the next government. That is the government I am determined to lead, to win power to change Britain for the benefit of working people. But every one of us in this hall today knows that we will only get there if we work together. And I think it’s fair to say after what we’ve been through these past few months that hasn’t always been exactly the case. Those months have been a testing time for the whole party, first the horrific murder of Jo Cox, followed by the shock of the referendum result and then the tipping over of divisions in parliament, into the leadership contest that ended last Saturday. Jo’s killing was a hate-filled attack on democracy itself that shocked the whole country. Jo Cox didn’t just believe in loving her neighbor, she believed in loving her neighbour’s neighbor, that every life counted the same. And as Jo said in her maiden speech as an MP “we have far more in common with each other than things that divide us”. Let that essential truth guide us as we come together again to challenge this Tory Government and its shaky grip on power. We have also lost good MPs like Michael Meacher and Harry Harpham. They were Labour through and through, passionate campaigners for a better world. And let me pay particular tribute to those parliamentary colleagues who stepped forward in the summer to fill the gaps in the shadow cabinet and ensure that Labour could function as an effective opposition in parliament. They didn’t seek office, but they stepped up when their party and in fact the country needed them to serve. They all deserve the respect and gratitude of our party and movement. And this conference should thank them today, they are our future. We’ve just had our second leadership election within a year. It had its fraught moments of course, not only for Owen Smith and me , and I hope we don’t make a habit of it. But there have also been upsides. Over 150,000 new members joined our party. Young rising stars have shone on the front bench and we found that the party is more united on policy than we would ever have guessed. I am honoured to have been re-elected by our party a second time with an even larger mandate. But we all have lessons to learn and a responsibility to do things better and work together more effectively. I will lead in learning those lessons and I’d like to thank Owen, for the campaign and his work as shadow work and pensions secretary. And all the Labour Party Staff and my own team for their brilliant work. One lesson is, that there is a responsibility on all of us to take care with our rhetoric, respect democratic decisions, respect our differences and respect each other. We know that robust debate has at times spilled over into abuse and hate around our party, including misogyny and anti-Semitism, especially on social media. That is utterly unacceptable. Our party must be a safe and welcoming space for everybody and we will continue to take firm action against abuse and intimidation. And let me be absolutely clear, anti-Semitism is an evil, it led to the worst crimes of the 20th century, every one of us has a responsibility to ensure that it is never allowed to fester in our society again. This party always has and always will fight against prejudice and hatred of Jewish people with every breath in its body. We meet this year as the largest political party in western Europe with over half a million members campaigning in every community in Britain. More people have joined our party in the last twenty months than in the previous twenty years. We have more of our fellow citizens in our party than all the others put together. Some may see that as a threat. But I see it as a vast democratic resource. Our hugely increased membership is part of a movement that can take Labour’s message into every community, to win support for the election of a Labour government. Each and every one of these new members is welcome in our party. And after a ten year absence, we welcome back the Fire Brigades Union to our party and to conference. We are reuniting the Labour family. And over the past year, we’ve shown what Labour can do when the party stands together. At conference a year ago, I launched our campaign against cuts to tax credits and we succeeded in knocking this government back. This year, three million families are over £1,000 better off because Labour stood together. We have won all four by-elections we’ve contested. In the May elections, we overtook the Tories to become the largest party nationally. We won back London with a massive win for Sadiq Khan the first Muslim mayor of a western capital city. And we won the Bristol mayor for the first time, Marvin Rees, the first black mayor in any European city. And of course we also won the mayoralty in Salford and here in Liverpool. That’s the road of advance we have to return to if we’re going to challenge the Tories for power and turn the huge growth in the Labour party into the electoral support we need across Britain. There’s no doubt my election as Labour leader a year ago. And re-election this month grew out of a thirst for a new kind of politics, and a conviction that the old way of running the economy and the country, isn’t delivering for more and more people. It’s not about me of course, or unique to Britain but across Europe, North America and elsewhere, people are fed up with a so-called free market system, that has produced grotesque inequality stagnating living standards for the many calamitous foreign wars without end and a political stitch-up which leaves the vast majority of people shut out of power. Since the crash of 2008, the demand for an alternative and an end to counter-productive austerity has led to the rise of new movements and parties in one country after another. In Britain it’s happened in the heart of traditional politics, in the Labour party which is something we should be extremely proud of. It’s exactly what Labour was founded for to be the voice of the many of social justice and progressive change from the bottom up. But it also means it’s no good harking back to the tired old economic and political fixes of twenty years ago because they won’t work anymore. The old model is broken. We’re in a new era that demands a politics and economics that meets the needs of our own time. Even Theresa May gets it, that people want change. That’s why she stood on the steps of Downing Street and talked about the inequalities and burning injustices in today’s Britain. She promised a country: “that works not for a privileged few but for every one of us”. But even if she manages to talk the talk, she can’t walk the walk. This isn’t a new government, it’s David Cameron’s government repackaged with progressive slogans but with a new harsh rightwing edge, taking the country backwards and dithering before the historic challenges of Brexit. Who seriously believes that the Tories could ever stand up to the privileged few? They are the party of the privileged few, funded by the privileged few, for the benefit of the privileged few. This is a party, after all that now wants to force through an undemocratic Boundary Review based on an out-of-date version of the electoral register with nearly two million voters missing. They’ve dressed up as a bid to cut the cost of politics by abolishing fifty MPs, but the £12million savings are dwarfed by the expense of the 260 peers David Cameron appointed at a cost of £34million a year. It’s nothing but a cynical attempt to gerrymander the next election. And this is a prime minister who was elevated to her job without a single vote being cast after a pantomime farce which saw one leading Tory after another falling on their swords. When I meet Theresa May across the dispatch box, I know that only one of us has been elected to the office they hold, by the votes of a third of a million people. In any case, the Tories are simply incapable of responding to the breakdown of the old economic model. Because that failed model is in their political DNA. It’s what they deliver every time they’re in government. Tory governments deregulate, they outsource and privatise they stand by as inequality grows. They’ve cut taxes for the privileged few sold off our national assets to them, always on the cheap and turned a blind eye to their chronic tax avoidance. They’re so committed to the interests of the very richest they recruited Sir Phillip Green into government as something called an efficiency tsar. Well, government might be a bit more efficient if the super-rich like Sir Phillip actually paid their taxes. When government steps back there are consequences for every one of us. council homes are sold off without being replaced. And another consequence is that we’re paying over £9 billion a year to private landlords in housing benefit. Instead of spending public money on building council housing, we’re subsidising private landlords. That’s wasteful, inefficient, and poor government. So Labour will, as Teresa Pearce said, build over a million new homes at least half of them council houses and we will control private rents, so we can give every British family that basic human right – a decent home. It’s the same in the jobs market. Without proper employment regulation, there’s been an explosion of temporary, insecure jobs nearly one million people on zero hour contracts. There are now six million working people earning less than the living wage and poverty among those in work is at record levels. That didn’t happen by accident, the Tories have torn up employment rights and deliberately tried to weaken the organisations that get people justice at work the trade unions. Of course trade unions are not taking this lying down. Look at the great campaign Unite has waged at Sports Direct, to get justice for exploited workers and hold Mike Ashley to account. That is why Labour will repeal the Trade Union Act and set unions free to do their job. And we will raise the minimum wage to a real living wage that brings working people out of poverty and we’ll ban zero hours contracts as John McDonnell and Ian Lavery have set out at this conference. And then there’s the scandal of the privatised railways more public subsidy than under the days of British Rail all going to private firms and more delays more cancellations. And the highest fares in Europe. That is why the great majority of the British people back Labour’s plan, set out by Andy MacDonald, to take the railways back into public ownership. But if you want the most spectacular example of what happens, when government steps back, the global banking crash is an object lesson a deregulated industry of out of control greed and speculation that crashed economies across the globe and required the biggest ever government intervention and public bailout in history. Millions of ordinary families paid the price for that failure. I pledge that Labour will never let a few reckless bankers wreck our economy again. So Labour is offering solutions. During this summer’s leadership campaign, I set out ten pledges which I believe can be the platform for our party’s programme at the next election. They have now been put to you and endorsed by this conference. They lay out the scope of the change we need to see for full employment, a homes guarantee, security at work, a strong public NHS and social care, a National Education Service for all, action on climate change, public ownership and control of our services, a cut in inequality of income and wealth action to secure an equal society and peace and justice at the heart of foreign policy. Don’t worry, they’re not the Ten Commandments. They will now go to the National Policy Forum and the whole party needs to build on them, refine them and above all take them out to the people of this country. But those ten pledges the core of the platform on which I was re-elected leader will now form the framework for what Labour will campaign for and for what a Labour government will do. Together they show the direction of change we are determined to take – and the outline of a programme to rebuild and transform Britain. They are rooted in traditional Labour values and objectives shaped to meet the challenges of the 21st century. They are values Labour is united on. They reflect the views and aspirations of the majority of our people. And they are values our country can and will support as soon as they are given the chance. And these pledges are not just words. Already, across the country, Labour councils are putting Labour values into action, in a way that makes a real difference to millions of people, despite cynical government funding cuts that have hit Labour councils five times as hard as Tory-run areas. Or Croydon Council which has set up a company to build 1,000 new homes, as Cllr Alison Butler said: “We can no longer afford to sit back and let the market take its course”. Or Glasgow that has established high quality and flexible workspaces for start-up, high growth companies in dynamic new sectors. Or here in Liverpool, set to be at the global forefront of a new wave of technology and home to Sensor City, a £15million business hub that aims to create 300 start-up businesses and 1,000 jobs over the next decade. It is a proud Labour record each and every Labour councilor deserves our heartfelt thanks for the work they do. But I want to go further because we want local government to go further and put public enterprise back into the heart of our economy and services to meet the needs of local communities, municipal socialism for the 21st century, as an engine of local growth and development. So today I’m announcing that Labour will remove the artificial local borrowing cap and allow councils to borrow against their housing stock. That single measure alone would allow them to build an extra 12,000 council homes a year. Labour councils increasingly have a policy of in-house as the preferred provider and many councils have brought bin collections, cleaners, and IT services back in-house, insourcing privatized contracts to save money for council tax payers and to ensure good terms and conditions for staff. I have said that Labour will put security at work and employment and union rights from day one centre stage. But one in six workers now in Britain are now self-employed. They’re right to value their independence but for too many it comes with insecurity and a woeful lack of rights. So we will review arrangements for self-employed people including social security that self-employed people pay for in their taxes, yet aren’t fully covered by. And we will ensure that successful innovators have access to the finance necessary to take their ideas to the next level grow their businesses and generate employment. So as part of our Workplace 2020 review, we will make sure that and our tax and social security arrangements are fit for the 21st century, consulting with self-employed workers and the Federation of Small Businesses. If the Tories are the party of cuts and short-termism. Labour is the Party of investing for the future. With the same level of investment as other major economies, we could be so much more unlock so much skill, ingenuity and wealth. That’s why we’ll establish a National Investment Bank at the heart of our plan to rebuild and transform Britain. And we will borrow to invest at historically low interest rates, to generate far greater returns. It would be foolish not to, because that investment is expanding the economy and the income it generates for us all in the process. Even this government, after years of austerity and savage cuts to investment is starting to change its tune. I am not content with accepting second-class broadband, not content with creaking railways, not content with seeing the US and Germany investing in cutting edge and green technologies, while Britain lags behind. Last year, for example the Prime Minister promised a universal service obligation for ten megabyte broadband. But since then the government has done nothing letting down entrepreneurs, businesses and families, especially in rural areas. That’s why we’ve set out proposals for a National Investment Bank with £500 billion of investment to bring our broadband, our railways, our housing and our energy infrastructure up to scratch. A country that doesn’t invest is a country that has given up. That has taken the path of managed decline. A Labour government will never accept second best for Britain. Our country’s history is based on individual ingenuity and collective endeavor. We are the country of Ada Lovelace, Alan Turing and Tim Berners-Lee, the land of Isambard Kingdom Brunel and Sarah Guppy of George Stephenson and Eric Laithwaite. 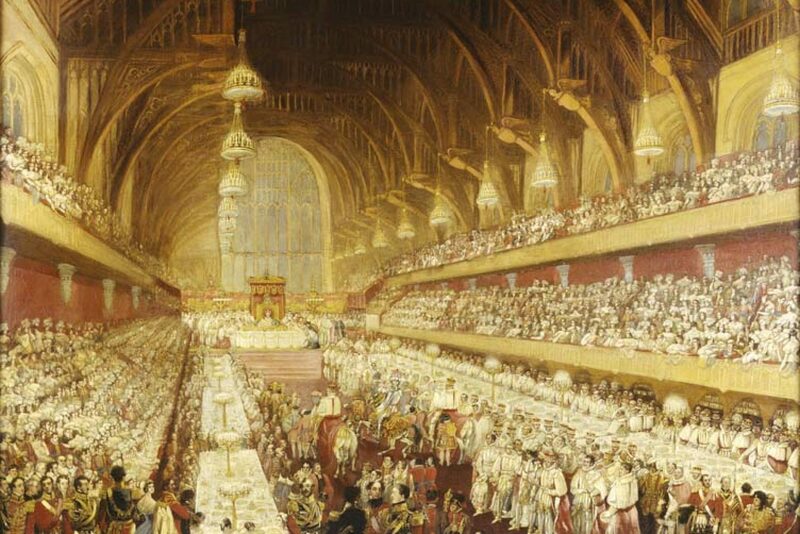 The Tories have turned their back on this proud British tradition. They have put privatisation and cutting spending first. Britain now spends less on research as a share of national income than France, Germany, the US and China. A Labour Government will bring research and development up to three percent of GDP. Yesterday, Rebecca Long Bailey set out the terms of our Industrial Strategy Review. We need an economy that works for every part of this country so that no community is left behind. And today I’m asking everyone, businesses, academics, workers, trade unions and anyone who cares about our future prosperity to have your say in that review. We are a wealthy country – and not just in terms of money. We are rich in talent, rich in potential. That’s why we’ve proposed a comprehensive National Education Service at the heart of our programme for government to deliver high quality education for all throughout our lives. Education has always been a core Labour value from the time of Ellen Wilkinson and before. And a National Education Service will be an essential part of the 21st century welfare state. In a rapidly changing economy people need to re-train or upgrade their skills without falling into debt. Britain already lags behind other in productivity. Partly that’s about investing in technology and infrastructure. And partly it’s about investing in people and their skills. How can we build and expand the sectors of the future without a skilled workforce? But this Conservative government has slashed adult education budgets taking away opportunities for people to develop their skills and leaving businesses struggling to find the skilled workforce they need to succeed. So today I am offering business a new settlement. A new deal for Rebuilding Britain. Under Labour we will provide the investment to rebuild Britain’s infrastructure. We will fund that investment because it will lead to a more productive economy providing the basis on which our economy and our businesses can thrive, helping to provide over a million good jobs and opportunities for businesses. But investment in capital must include investment in human capital, the skilled workers needed to make our economy a success. So this is the deal Labour will offer to business. To help pay for a National Education Service, we will ask you pay a little more in tax. We’ve already started to set out some of this, pledging to raise corporation tax by less than 1.5 percent to give an Education Maintenance Allowance to college students and grants to university students so that every young learner can afford to support themselves as they develop skills and get qualifications. Business shares in economic success and it must contribute to it too. And I recognise that good businesses deserve a level playing field. So I also pledge to good businesses that we will clamp down those that dodge their taxes you should not be undercut by those that don’t play by the rules. There is nothing more unpatriotic than not paying your taxes it is an act of vandalism, damaging our NHS, damaging older people’s social care, damaging younger people’s education. So a Labour government will make shabby tax avoidance a thing of the past. Labour’s National Education Service is going to be every bit as vital as our National Health Service has become. And we recognise that education isn’t simply about preparing for the workplace. It’s also about the exploration of knowledge and unlocking the creativity in every human being. So all school pupils should have the chance to learn an instrument take part in drama and dance and have regular access to a theatre, gallery or museum in their local area. That’s why we will introduce an arts pupil premium to every primary school in England and Wales and consult on the design and national roll-out to extend this pupil premium to all secondary schools. This will be a £160million boost for schools to invest in projects that will support cultural activities for schools over the longer-term. It could hardly be more different to the Tory approach to education. Their only plan is the return of grammar schools, segregation and second class schooling for the majority and what a great job Angela Rayner is doing in opposing them. So this Saturday 1 October, I want you to take the message into your community that Labour is standing up for education for all. Grammar Schools are not the only way, the Tories are bringing division back into our society. They are also using the tried-and-tested tricks of demonising and scapegoating to distract from their failures. Whether it be single mothers, unemployed people, disabled people or migrants, Tory failure is always someone else’s fault. And those smears have consequences, from children being bullied in school, to attacks in the street – such as the rise of disability hate crime. I am so proud of this party. In the last year, we stood up to the government on cuts to disabled people’s benefits and cuts to working families tax credits. And on Monday, our shadow work & pensions secretary Debbie Abrahams announced we would be scrapping the punitive sanctions regime and the degrading Work Capability Assessment. As politicians, as political activists, as citizens, we must have zero tolerance towards those who whip up hate and division, stand together against racism, Islamophobia and anti-Semitism and defend those being demonised. It has been shaming to our multicultural society that assaults on migrants have increased sharply since the referendum campaign a campaign that peddled myths and whipped up division. It isn’t migrants that drive down wages, it’s exploitative employers and the politicians who deregulate the labour market and rip up trade union rights. And we will ease the pressure on hard pressed public services – services that are struggling to absorb Tory austerity cuts, in communities absorbing new populations. Labour will reinstate the migrant impact fund, and give extra support to areas of high migration using the visa levy for its intended purpose. And we will add a citizenship application fee levy to boost the fund. That is the Labour way to tackle social tension investment and assistance, not racism and division. This party campaigned hard to remain in the European Union. I spoke at rallies from Cornwall to Aberdeenshire for our Labour campaign to remain and reform. But although most Labour voters backed us we did not convince millions of natural Labour voters especially in those parts of the country left behind. Left behind by years of neglect under-investment and de-industrialisation. Now we have to face the future together we are not helped by patronising or lecturing those in our communities who voted to leave. We have to hear their concerns about jobs, about public services, about wages, about immigration, about a future for their children. And we have to respect their votes, and the decision of the British people. Of course that doesn’t mean giving a blank cheque to Theresa May and her three-legged team of fractious Brexiteers as they try to work up a negotiating plan and squabble about whose turn it is to have the Chevening country retreat each weekend. We have made it clear that we will resist a Brexit at the expense of workers’ rights and social justice we have set out our red lines on employment, environmental and social protection and on access to the European market. But we will also be pressing our own Brexit agenda including the freedom to intervene in our own industries without the obligation to liberalise or privatise our public services and building a new relationship with Europe based on cooperation and internationalism. And as Europe faces the impact of a refugee crisis fuelled by wars across the Middle East we have to face the role that repeated military interventions by British governments have played in that crisis. The Chilcot report made absolutely clear, the lessons to be learned from the disastrous invasion and occupation of Iraq, just as this month’s Foreign Affair Select Committee report into the war in Libya demonstrated those lessons had still not been learned a decade later. The consequences of those wars have been the spread of terrorism, sectarianism and violence across an arc of conflict that has displaced millions of people forcing them from their countries. We need a foreign policy based on peace, justice and human rights and what great news to hear the peace treaty in Colombia after fifty years of war and we need to honour our international treaty obligations on nuclear disarmament and encourage others to do the same. We are a long way from that humanitarian vision. Britain continues to sell arms to Saudi Arabia, a country that the United Nations says is committing repeated violations of international humanitarian law war crimes in Yemen just as we have seen taking place in Syria. So today I make it clear that under a Labour government when there are credible reports of human rights abuses or war crimes being committed British arms sales will be suspended, starting with Saudi Arabia. Last year, the votes we needed to win power went many different ways in all parts of our country while millions of our potential voters stayed at home. That means being the voice of women, of young people and pensioners middle and lower income workers, the unemployed and the self-employed, minority communities and those struggling with the impact of migration at work and everyone struggling to get on, and secure a better life for themselves, their families and communities. 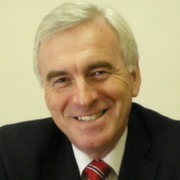 Running like a golden thread through Labour’s vision for today as throughout our history is the struggle for equality. Rampant inequality has become the great scandal of our time, sapping the potential of our society, and tearing at its fabric. Labour’s goal isn’t just greater equality of wealth and income but also of power. Our aim could not be more ambitious. We want a new settlement for the 21st century, in politics, business, our communities with the environment, and in our relations with the rest of the world. Every one of us in the Labour party is motivated by the gap between what our country is and what it could be. We know that in the sixth largest economy in the world the foodbanks, stunted life chances and growing poverty alongside wealth on an undreamed of scale are a mark of shameful and unnecessary failure. We know how great this country could be, for all its people, with a new political and economic settlement. With new forms of democratic public ownership, driven by investment in the technology and industries of the future, with decent jobs, education and housing for all with local services run by and for people not outsourced to faceless corporations. That’s not backward-looking, it’s the very opposite. It’s the socialism of the 21st century. So I ask each and every one of you, accept the decision of the members end the trench warfare and work together to take on the Tories. Anything else is a luxury that the millions of people who depend on Labour cannot afford. We know there will be local elections next May. In Scotland, where we have won three council by-elections this summer, in Wales and in counties across England. And there’ll be metro mayor elections too, including here on Merseyside, where my good friend Steve Rotherham will standing as Labour’s candidate, Steve, best of luck, I will miss your comradeship and support. But we could also face a general election next year. Whatever the Prime Minister says about snap elections, there is every chance that Theresa May, will cut and run, for an early election. So I put our party on notice today, Labour is preparing for a general election in 2017, we expect all our members to support our campaign and we will be ready for the challenge whenever it comes. We are not all Bill Shanklys. Each of us comes to our socialism from our own experiences. Conference, united we can shape the future and build a fairer Britain in a peaceful world. Below is the text of the speech made by Clive Lewis, the Shadow Secretary of State for Defence, on 26 September 2016. Conference, as a lifelong party activist it’s a great honour not just to address you for the first time, but to do so as Shadow Defence Secretary. I speak today not just as a politician, but as someone who has seen first-hand the consequences when political failure leads us to war. I’ve found there are some who are surprised to find an Army veteran serving as a Labour MP, as if it was somehow against the values we collectively believe in. But I see no contradiction between my service and my socialism. I want to pay tribute to the extraordinary men and women of our armed forces, who work so hard to keep us safe every single day. They have continued to do so at a time of unprecedented challenges. From operations against Da’esh in the Middle East, to peacekeeping missions in Somalia, South Sudan and elsewhere, our armed forces have been exceptionally busy and dedicated. Conference, when I look at our key military alliance – NATO – I see an organisation that springs directly from our values: collectivism, internationalism and the strong defending the weak. Its founding charter – a progressive charter – includes standing up for democracy and defending human rights. These are values that I believe go to the core of our political identity. So, of course, a Labour government would fulfil our international commitments, including those under Article 5. But let’s be clear: that means both our military and our diplomatic obligations. We cannot have one without the other, and nor should we. Every Labour government since Attlee’s has met NATO’s spending target of at least 2 per cent of GDP, every single year. And I confirm today that the next Labour government will do the same, including our UN and peacekeeping obligations. Of course, what really matters isn’t so much what you spend as how you spend it. What I do see is a government that has cut the size of the armed forces by a fifth, imposed an effective pay cut year-on-year, and it’s an insult to their dedication that they are not adequately housed. But Conference, let’s be honest. There are defence issues on which we are not united. This should not surprise us though. The security of our country – the first duty of any government – demands nothing less than the most rigorous of examination and debate. Friends, we know that nuclear weapons are one of those issues. As you know, I am sceptical about Trident renewal, as are many here. But I am clear that our Party has a policy for Trident renewal. But I also want to be clear that our Party’s policy is also that we all share the ambition of a nuclear-free world. So we will take steps to make that ambition a reality. So we will make our long-standing multilateralism reality, not rhetoric. We will be working with international organisations, including the United Nations General Assembly First Committee on Disarmament and International Security, within the spirit and the letter of the Nuclear Non-Proliferation Treaty. That will stand in stark contrast to the Tories’ lip service on nuclear disarmament; they have not brought forward a single proposal as to how they intend to achieve it. Because Conference, we know how Theresa May uses Trident. Not as a military weapon aimed at deterring enemies overseas – but as a political weapon aimed at her party’s opposition at home. Us. The best possible chance for a better, safer world is a Labour government. Conference, only we in the Labour Party have the ideological foundation on which a defence policy fit for the 21st Century can be built. We have to rethink what real security means. Increasingly, what threatens us are complex, interlinked systemic forces: the collapse of states, asymmetric warfare, resource depletion and catastrophic climate change. Each of these will make the lives of hundreds of millions unimaginably hard, starting with the poorest. Every day we see through our media the pitiful pictures of ordinary men, women and children forced from their homes, families desperately seeking sanctuary from war and social collapse. And this is just the beginning. If we want it to stop we must look beyond the symptoms and tackle the root causes. The Tories can never do this because their right-wing dogma is the cause. Economic policies that foster rampant inequality, the shoring up of oppressive regimes, conniving in proxy wars, ruthless over-exploitation of natural resources, complacent denialism on climate change. No Conference, it will be our values that solve these problems. Our internationalism, our passion for social justice, for economic justice and for environmental justice. Our Labour Party recognises that a world without justice is a world that will never be at peace. By addressing injustice, we can help to deliver real security. And if the Tories’ philosophy leaves them incapable of dealing with the challenges of the future, their practical choices are no better. When I look at the Tories’ record on defence I can see that, as with so many of our public services, they simply don’t recognise the value of the most important asset we have in this country – our people. The men and women – who have this Party’s deepest respect – that are the backbone of our nation’s defence. They are our sons, our daughters, cousins, nieces, nephews. They are all of us. This government has systematically undermined and demoralised far too many of them. And yet this government has systematically undermined and demoralised far too many of them. They have systematically undermined our industrial communities, ripping up Labour’s Defence Industrial Strategy and spent billions overseas, instead of investing in British jobs and British steel. I want the money we spend on defence equipment to go not to the cheapest bidder but to those who pay fair taxes and fair wages, who provide decent jobs and support communities.